Drawing inspiration from gardens and sculpture collections around the globe, Fred Meijer sought to create a unique museum environment that was second-to-none right in Grand Rapids. Join Dr. Sue Eberle as she highlights the sculpture gardens that inspired Meijer as well as some of the outstanding outdoor collections to add to your travel bucket list. You don’t have to have the resources of Meijer Gardens to build your own fine art collection. Join the owners and artists behind Lafontsee Galleries to learn easy ways to live with original artwork that inspires you every day. Linda and Scott Lafontsee have represented local artists for over 30 years in Grand Rapids. Get off the beaten path and explore lesser known areas of the Sculpture Park. 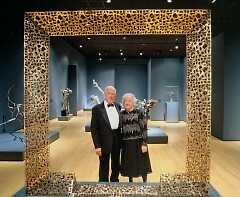 See fantastic examples of Modern and Contemporary sculpture instrumental to Fred Meijer’s collection style and legacy. Meet outside of the Indoor Sculpture Galleries and be prepared to walk and stand for at least 90 minutes, rain or shine. Exhibition programs are drop-in and registration is not required. Timed to commemorate the centenary of Fred Meijer’s birth and to celebrate his role as one of America’s foremost patrons of the arts, Frederik Meijer Gardens & Sculpture Park is honored to announce A National Treasure: Fred Meijer, His Collection and Legacy. Opening on February 1, 2019, this exclusive exhibition is a celebration of Meijer’s desire to build a world-class sculpture collection. This exhibition will run through August 25, 2019 and will display eleven different “chapters”, each based around original works of art from Meijer Gardens’ permanent collection as well as exclusive loans from sculptors and galleries that Meijer knew and admired. In addition, the exhibition will debut a series of important recent acquisitions to Meijer Gardens’ permanent collection, including works by El Anatsui, George Segal and George Minne. 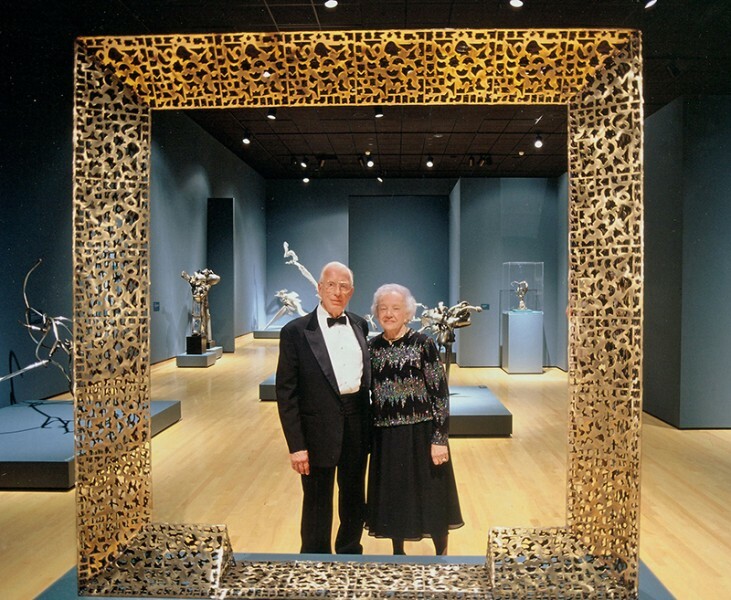 A National Treasure: Fred Meijer, His Collection and Legacy examines Meijer’s passion for sculpture, his growth as a collector and his profound commitment to engage diverse audiences through his collection. Each facet of Meijer’s collection is explored in this exhibition, including early ideas for a sculpture park and ways that the collection would be integrated across the gardens and grounds of what would become Frederik Meijer Gardens & Sculpture Park. The exhibition follows Meijer’s journey as a collector and patron of the arts, with rare insight into the creation of one of the world’s greatest collections of Modern and Contemporary sculpture. Frederik G.H. Meijer was born in Greenville, Michigan in 1919 to Dutch immigrants Hendrik and Gezina Meijer. Together with an older sister, Johanna, the Meijers formed an industrious working-class family and embraced life in the rural Midwest. The Meijer parents maintained a life-long connection to their European roots and instilled the importance of education, culture and the arts in their children. “The eye needs something, too” was a favorite phrase Gezina Meijer often shared as a reminder that, whenever possible, a truly full life extended beyond physical needs to embrace beauty, as well as intellectual and cultural pursuits. In 1934, in the depths of the Great Depression, fourteen-year-old Fred Meijer worked with his father to found and operate the first Meijer grocery in Greenville. This store became the cornerstone of the chain of supercenters, Meijer Inc., which flourishes with 242 stores today. In 1946, Fred Meijer married Lena Meijer (born 1919) who became his beloved wife of 65 years. As their success in business burgeoned, so did their commitment to community through philanthropy in education, health care, the natural environment and the arts—an extraordinary tradition embraced by their sons and families today. 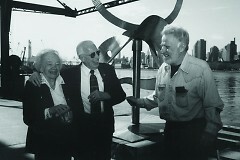 The opening of Frederik Meijer Gardens & Sculpture Park in 1995 brought together Lena’s love of plants and flowers with Fred’s passion for sculpture and quickly became a cherished focal point of their interest and support. Although never formally trained in the visual arts or art history, Fred Meijer was deeply interested in cultural endeavors and history, and had a long interest in sculpture. In particular, he was initially attracted to historical and figurative statuary in bronze. He began collecting in the mid-1980s according to his own interests, but his views broadened in the following years. In August of 1999, he declared his dream to “build a world-class sculpture collection” at Meijer Gardens—opening a door for collecting beyond his initial personal aesthetic with the betterment and enjoyment of the public in mind. Today, the collection is hailed as among the finest in the world. 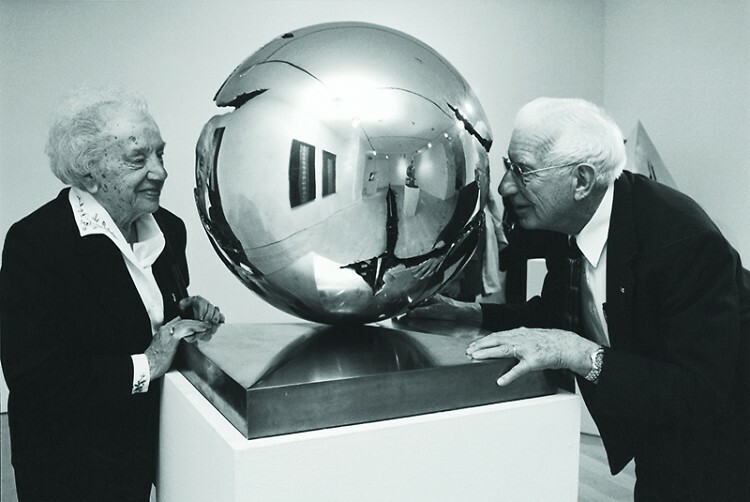 This exhibition celebrates Fred Meijer’s centenary and traces the development of the man and his collection of sculpture and his emergence as one of the nation’s foremost patrons of the visual arts. One of the world’s most significant botanic and sculpture experiences, Frederik Meijer Gardens & Sculpture Park served 696,000 visitors in 2018 and was recently listed in the top 30 most visited museums in the United States by The Art Newspaper, the leading publication in global art news. The 158-acre main campus features Michigan’s largest tropical conservatory; one of the largest interactive children’s gardens in the country; arid and Victorian gardens with bronze sculptures by Degas and Rodin; a carnivorous plant house; outdoor gardens; and a 1900-seat outdoor amphitheater, featuring an eclectic mix of world-renowned musicians every summer. The internationally acclaimed Sculpture Park features a permanent collection including works by Oldenburg, Moore, Hepworth, Serra, Bourgeois, Ai Weiwei and Plensa, among others. Indoor galleries host changing sculpture exhibitions with exhibitions by Ai Weiwei, Picasso, Degas, di Suvero, Borofsky, Calder and Dine. In June 2015, the eight–acre Richard & Helen DeVos Japanese Garden at Frederik Meijer Gardens & Sculpture Park opened. Created by renowned designer Hoichi Kurisu, the garden features sculpture by Anish Kapoor, Jenny Holzer and Guiseppe Penone, among others.